Phil Shenon and I agree on at least a few things. In any resolution of the mysteries surrounding the assassination of President John F. Kennedy, Mexico City will undoubtedly be important. The investigation into what happened there in 1963 was, for some reason, seriously curtailed by the U.S. government. The government has, since then, fought tooth and nail to keep the full story about what happened there secret. While I have never met Mr. Shenon, I have spoken with him several times by telephone. I first heard from him when he called me around 2011. He introduced himself as a reporter for Newsweek Magazine. He said he was working well in advance on an article for that magazine for the 50th anniversary of JFK’s murder. He wondered whether I would be willing to talk about the HSCA’s investigation in Mexico City. I agreed to speak with him. Over the course of that first conversation, and several follow-up calls from him over the next couple of years, it became apparent to me that Mr. Shenon was only interested in our work investigating what had happened in Mexico City in 1963 insofar as it might provide some kind of basis for linking Oswald to Castro or the Cubans. I tried to discuss the details of the HSCA investigation into what happened in Mexico City in its anomalous issues, but he was uninterested in those details. While there is an acknowledgment in his book, A Cruel and Shocking Act, stating that Ed Lopez and I were “generous with their time and interviews for this book,” precious little, if any, of what we shared with him made it into the book or any of his subsequent writing on the subject of Mexico City. Not only does Mr. Shenon ignore the post-HSCA materials we tried to bring to his attention, he also ignores the primary thrust of our report written for the HSCA. I would not take issue with Phil Shenon if I thought what he is claiming is, merely, that the possibility of Cuban assistance to Oswald should be investigated. While I think the evidence of that is very weak at best, I will not deny that any avenue of investigation that remains open should be pursued. What I take issue with Mr. Shenon about is his single-minded concentration on that one issue and the resultant misrepresentation of facts and questions related to, and arising from, Lee Oswald’s activities in Mexico City. It appears to me that Shenon may be carrying water for the proponents of the original conspiracy theory – that Castro did it – rather than offering any objective review of the complete evidentiary base of that underlies the Mexico City visit. Shenon deliberately ignores the indicators and evidence that suggest Oswald’s trip to Mexico was either designed in advance, or spun in the aftermath, to give the appearance of Cuban and Soviet collusion in the Kennedy assassination. 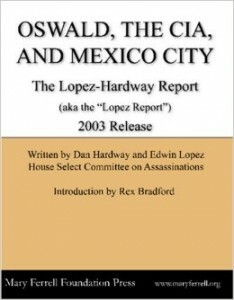 Shenon’s thesis, as most recently explicated in his article in Politico, “What Was Lee Harvey Oswald Doing in Mexico?”, is built on suspicions expressed by some government officials after the assassination and Charles Thomas’s reporting of the Duran twist party – a report based on a story first told by Elena Garro de Paz. Many had initial suspicions after the assassination: Lyndon Johnson alleged a communist conspiracy within twenty minutes of JFK’s death; Bobby Kennedy’s first question to CIA Director John McCone that day was, “Did some of your guys do this?” (The Warren Commission, in Executive Session, was very concerned about Oswald’s intelligence connections, but Allen Dulles told them it was something that couldn’t really be proven, as a good intelligence officer would lie under oath to the Commission.) When Shenon and I talked, I tried to get him to consider evidence and facts that have come to light about Mexico City and the CIA’s handling of various investigations since, including the one I worked on in 1978, in his evaluation of the twist party story that lies at the root of his speculations. My efforts had no effect. Any possible explanation other than Cuban complicity has been ignored by Mr. Shenon who seems hell-bent on promoting the idea that Castro was behind the assassination, refusing to address any other possibility. I tried, in vain as it turns out, to get Mr. Shenon to consider that what we had learned about Oswald’s activities, and the government’s reaction to those activities, could support a different explanation which also pointed to an additional avenue of investigation that needed to be publicized and followed. In my view, Oswald’s activities are more consistent with his being involved in an intelligence operation being run by U.S. intelligence than with him trying to make contact with Cubans to garner support for an assassination attempt on the sitting leader of this country. Miami in 1963-64 and was the case officer for DRE, the anti-Castro group that scored the anti-Fair Play for Cuba Committee coup using Oswald in New Orleans in August of 1963. As G. Robert Blakey has since acknowledged, “The CIA not only lied, it actively subverted the investigation.” I think the CIA expected we would take the superficial approach of considering the “Castro did it” theory, but when we went beyond the initial appearances and began pushing our investigation into the propaganda sources, seeking interviews with the actual penetration and surveillance agents, seeking to find others in Mexico City who may have seen Oswald, then the Agency resistance to our investigation turned to a stonewall. Shouldn’t it be enough to raise serious questions that when a Congressional Committee investigating specific disinformation operations ran by the CIA, the CIA brings one of those involved in the operation being investigated and uses him in an undercover capacity to forestall and subvert the investigation? But that’s not all. Western Hemisphere. He was an experienced hand. In the late 1950’s he had been under non-diplomatic cover in Havana, where he worked with student leaders who would eventually form the Directorio Revolucionario Estudantil (“DRE”). During the Bay of Pigs, Phillips was stationed at CIA Headquarters where he had responsibility for the propaganda and psychological warfare aspects of the antiCastro operations. In running those operations he not only oversaw the operations he ran personally from Headquarters, he was also the supervisor of the propaganda operations flowing out of the JMWAVE station in Miami by William Kent (aka Doug Gupton, William Trouchard). When the students who had been recruited by Phillips fled Cuba, they were reorganized under Kent’s tutelage into the DRE based in Miami. Phillips was transferred to Mexico City later in 1961 after the Bay of Pigs. Kent was promoted to Headquarters, and George Joannides took over Kent’s position in Miami, including supervision of DRE. 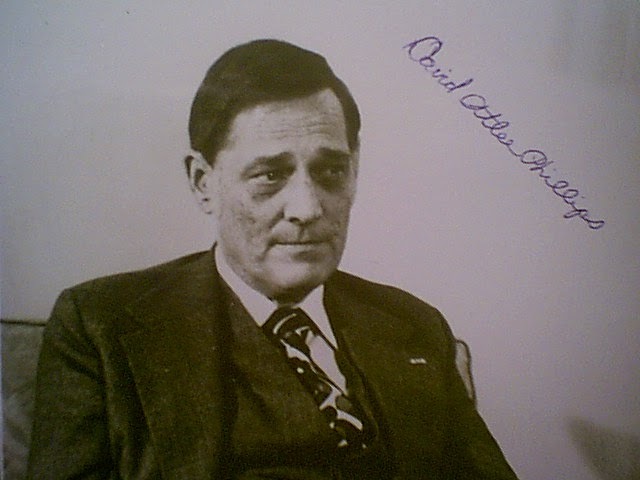 While still stationed in Headquarters in the early 60’s, David Phillips had worked with Cord Meyer to develop the first disinformation campaign aimed at discrediting and disrupting a group of Castro sympathizers who had organized themselves into the Fair Play for Cuba Committee (FPCC). 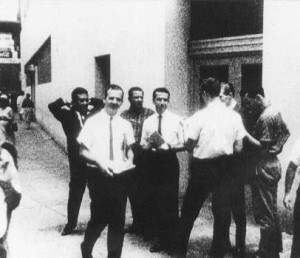 In the summer of 1963 Lee Harvey Oswald formed a chapter of the FPCC in New Orleans. In August of 1963 Lee Harvey Oswald, still in New Orleans, had an encounter with DRE which led to a lot of publicity linking Oswald to communists, labeling him as pro-Castro, and discrediting the FPCC. In July and August of that year there is strong evidence that Oswald was used to identify and contact pro-Castro students at Tulane University. In early September, Oswald was seen with David Philips in Dallas. On September 16, 1963, the CIA informed the FBI that it was considering action to counter the activities of the FPCC in foreign countries. To my knowledge, the operational files on this new anti-FPCC operation have never been released by the CIA. In New Orleans, on September 17, 1963, Oswald applied for, and received, a Mexican travel visa immediately after William Gaudet, a known CIA agent, had applied for one. On September 27 Oswald arrived in Mexico City. This activity did not occur suddenly or in a vacuum. Oswald had started establishing his pro-Castro bona fides earlier that summer in New Orleans, including establishing an FPCC chapter there. employees. David Phillips frequently lied about Oswald and Mexico City, but in a footnote in a little known book he self-published, Secret Wars Diary, he wrote: “I was an observer of Cuban and Soviet reaction when Lee Harvey Oswald contacted their embassies.” [Emphasis added.] One purpose served by an intelligence dangle is to enable the dangling agency to observe the reaction and, from that observation, identify roles of employees, procedures and processes of the enemy. There can be little doubt that Oswald’s activities, especially the more flagrant, blatant and egregious ones such as those alleged by Shenon to have occurred at the Cuban Consulate, could only have scandalized the Cuban diplomats who heard the threats and bluster – all to the discrediting of the FPCC, just as the publicity about the New Orleans encounter between Oswald and the DRE formed one of the propaganda nails in that organization’s coffin. It is much more likely, in my opinion, that the seasoned Cuban diplomats would be offended than it is that they would support someone exhibiting Oswald’s alleged behavior to attempt an assassination. It is much more likely that the Cuban diplomats would have, as the evidence shows they did, consider Oswald as a U.S. intelligence provocation. The Cubans knew of the surveillance on their facilities. Why would they use someone to do such a job who showed up under surveillance and announced his plans? On the other hand, someone as provocative as Oswald should have generated a cascade of response that, when observed by the watchers, would have revealed an abundance of information. It could also serve to discredit the FPCC with the Cubans. The CIA prevented us, in 1978, from interviewing then surviving penetration and surveillance agents who would have known more about such an operation. In 1978, we knew not only about the allegations of the twist party, but also about the stories of Oswald’s contact with students. 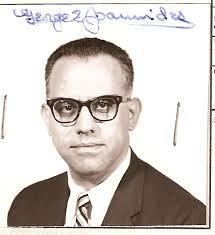 The CIA prevented us from interviewing Oscar Contreras, a student Oswald contacted. But Anthony Summers, and others, have interviewed him since. Contreras acknowledges that Oswald, in late September, 1963, approached him and three other students who were members of a pro-Castro student organization. He asked them for help getting a visa to Cuba from the Consulate. Contreras did have contacts at the Consulate and spoke to the Consul and an intelligence officer. Both warned him to have nothing to do with Oswald as they suspected he was trying to infiltrate proCastro groups. Contreras still wonders how Oswald identified him and his friends as the students, out of the thousands attending the University, as the ones with contacts in the Consulate. Shenon, some way or another, sees this incident as supporting possible Cuban involvement in the assassination. No mention is made to the similarity to what Oswald was doing with Tulane students in New Orleans. individuals who helped pass out pamphlets on the last occasion when Oswald passed out his FPCC literature in downtown New Orleans, were introduced by Oswald as students from Tulane. There are, keeping things in parallel, indications in the documentation about the case that Oswald, while in Mexico City, made contact with Quakers studying at the Autonomous University. There are indications that one Quaker student at the University at that time was an active agent of the CIA, although that person has never been identified and it has not been determined that he had any contact with Oswald in Mexico City. The reason that it has not been determined is that it has not been investigated. what he writes on a supposition that, based on this twist-party story, Duran was at the center of the Cuban recruitment of Oswald. But the fact is that it is still very much in question whether Duran had been recruited as an asset by the CIA. 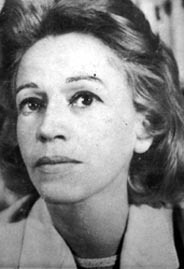 David Phillips, as well as other CIA employees, in 1978, were of the opinion that she may have been targeted for recruitment by the CIA. The CIA, then and since, has gone out of its way to keep details about Duran buried, claiming, among other things, to have destroyed her Mexico City P file. But the point is, the activities in Mexico City in September and October, 1963, are a capsule version of Oswald’s activities in New Orleans in June, July and August of 1963. 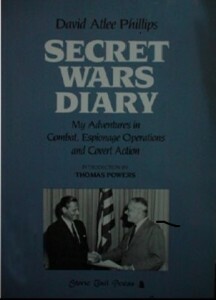 In the context of the other information we’ve learned about the CIA’s FPCC black propaganda operation, the people involved in those operations and the role of at least one of those people, George Joannides, in subverting the HSCA investigation, how can anyone not seriously consider whether Oswald’s Mexico City activities were part of a CIA anti-FPCC operation? The very first conspiracy theory, that Castro and the communists killed JFK – the one expressed by President Johnson 20 minutes after the assassination, and first seeing print in the DRE’s CIA funded newspaper, Trinchera, on November 23, 1963 – still has followers and proponents, the latest being Phil Shenon. None of the proponents, it seems, have ever really considered whether they may be the victims – or a part – of a very good, deliberate disinformation operation – possibly the best Phillips and Joannides ever ran. Dan Hardway, J.D. Attorney in private practice; former investigator, House Select Committee on Assassinations. The late Charles Thomas belonged to an exclusive, unhappy and forgotten club: U.S. government officials whose efforts to honestly investigate the assassination of President John F. Kennedy in 1963 cost them their jobs and reputations. Last week the Washington Post ran an obituary of Cynthia Thomas, the widow of Charles Thomas. It was an unusual tribute. The Washington Post, now acknowledges that there are good and solid reasons for perfectly sane people to reject the U.S. government’s implausible and widely disbelieved official theory that a “lone gunman” killed JFK for no discernible reason. This is a welcome and overdue development, as the facts of Thomas’s tragic story attest. Thomas, a Foreign Service officer, was stationed in Mexico from 1964 to 1967. In the course of his consular duties, Thomas gathered first-hand information from credible sources about the visit of accused assassin Lee Harvey Oswald to Mexico City six weeks before JFK’s assassination. Thomas assumed that the CIA and FBI would be interested in his new evidence. He assumed wrong. Two years later, Charles Thomas put a gun to his right temple in the second-floor bathroom of the couple’s home in northwest Washington, and pulled the trigger. Other than its violent end, Thomas’ story resembles that of John Whitten, a senior CIA official, who died in 2000. Whitten too paid a price for asking JFK questions. In 1963 Whitten served as chief of the Mexico desk in the clandestine service. He came up through the agency’s Berlin base where he pioneered the use of the polygraph in counterespionage investigations. He investigated the famous case of Otto John, the West German intelligence chief who defected to East Germany in the 1950s. The day after JFK was killed, deputy CIA director Richard Helms put Whitten in charge of collating all reports on Oswald. Arrested for killing Kennedy, Oswald denied responsibility and told reporters he was “a patsy.” Oswald was then killed in police custody. The more Whitten learned about Oswald’s Cuban contacts, the more he wanted to investigate. With a clerical staff of 30, he launched a counterespionage investigation of Oswald, a leftist who had lived in the Soviet Union. Within a month, Whitten was, in his own words, “sandbagged” by CIA counterintelligence chief James Angleton. A legendary and controversial figure in the annals of the CIA, Angleton is best-known for the “mole hunt,” his ceaseless unsuccessful effort to find a Soviet spy inside the CIA in the late 1960s. As I recounted in my 2017 biography of Angleton, The Ghost, Angleton and his molehunters closely monitored Oswald’s travels, foreign contacts and political activities from November 1959 to November 1963. The questions Whitten wanted to pursue about Oswald and the Cubans were never asked, much less answered, by the Warren Commission, which concluded predictably that Oswald acted alone, and that no one in the government was to blame. When Whitten, an outstanding undercover officer, received a poor job evaluation in 1965, he quit the CIA and moved to Europe to join the Vienna Men’s Choir. Thomas and Whitten’s story also resembles that of Win Scott, the veteran chief of the agency’s Mexico station in the 1960s. As told in my 2008 biography, Our Man in Mexico, Scott and his deputy Ann Goodpasture, launched their own private investigation of Oswald at the same time as Thomas. Like Thomas, Scott came to reject the official theory of a “lone gunman.” He wrote as much in an unpublished memoir in 1970. Biography of the silenced station chief. Angleton suppressed Win Scott’s JFK dissent too. When Scott died suddenly in April 1971, Angleton flew to Mexico City and seized Scott’s unpublished manuscript. It would be 20 years before portions of Scott’s memoir surfaced with its damaging account of how the CIA had fed a lie to the Warren Commission about Oswald. For Thomas’s obituary, the Post turned to an outside writer, former New York Times reporter Philip Shenon. The author of two well-reported books about the Warren Commission and 9/11 Commission, Shenon reported Thomas’s story for The Guardianlast spring. Thomas’s “unwelcome questions,” Shenon contends, concerned a possible Cuban communist conspiracy to kill Kennedy. The long-classified State Department and CIA documents show that her husband alarmed his superiors in the late 1960s by pressing for a new investigation that might have pointed to a conspiracy in Kennedy’s death. It was a plot, he suspected, that had been hatched on Mexican soil and somehow involved officials of the communist government of Cuba. The implication of the Post’s obituary is that the U.S. government protected Fidel Castro from credible evidence of Cuban involvement in JFK’s assassination–and continues to protect the Cuban government to this day. As I explain in this piece for Salon, the “Castro did it” theory lacks plausibility. Why would the CIA protect the impudent revolutionary leader who loved baiting the U.S. government as “Yanqui imperialists” and “war criminals?” The U.S. government had–and has–a policy of unremitting hostility toward the government of Cuba. The agency mounted scores, if not hundreds, of conspiracies to assassinate Castro. Declared U.S. policy long called for the overthrow of Castro’s government. If Thomas’ evidence credibly pointed to Cuban involvement, why wouldn’t U.S. officials have publicized it in order to discredit Castro, facilitate the overthrow of his government, and do justice for the slain president? To protect themselves is the obvious answer. But what did the CIA have to hide? A few provocative tidbits have emerged about the mysterious 1961 death of United Nations Secretary General Dag Hammarskjold, just months before the world body may forever close the book on the unsolved case. The new information, which appears to corroborate the theory that South African or Belgian mercenaries may have forced the plane carrying Mr. Hammarskjold and 15 others to crash in a conflict region of Africa, is far from conclusive. But it has provided more fuel for questions about what powerful nations may still be withholding in their intelligence archives about the crash, a defining event nearly six decades ago in emerging post-colonial Africa. Mr. Hammarskjold, a pipe-smoking Swedish diplomat whose name now adorns buildings in and around the United Nations headquarters in New York, was on a mission to settle a conflict over Katanga, a rebellious part of Congo, when his aircraft, a chartered DC-6, crashed just after midnight on Sept. 18, 1961. The aircraft, named the Albertina, was just a few minutes from its destination: an airfield in Ndola, in what was then the British protectorate of Northern Rhodesia and is now Zambia. Whether the crash was accidental has been at the crux of inquiries that have persisted to this day, generating many conspiracy theories that colonial-era mining interests, perhaps backed by Western intelligence agencies, had plotted to assassinate him. The inquiries have turned Mr. Hammarskjold’s death into the biggest mystery in the history of the United Nations. Now, as a prominent jurist retained by Mr. Hammarskjold’s most recent successor, António Guterres, is preparing what may be the final report on the crash, a documentary film has caused a stir by presenting what it has described as revelations. 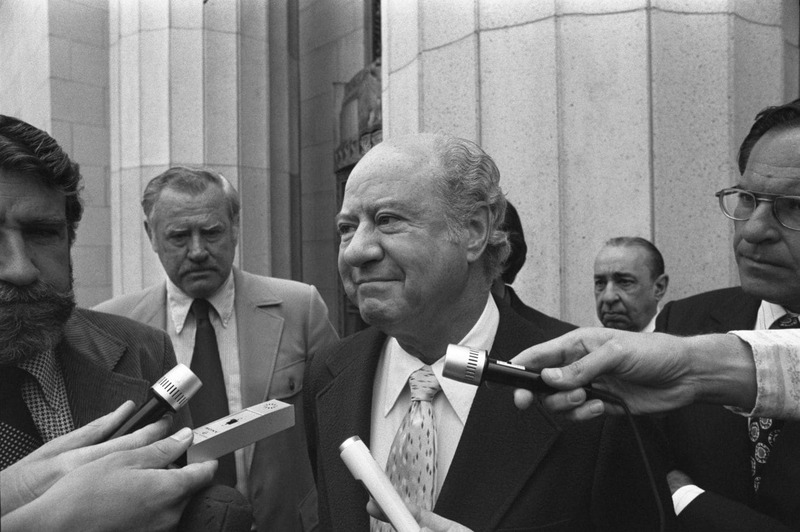 The two-hour film, “Cold Case Hammarskjold,” by Mads Brugger, a Danish journalist, received mixed reviews when it debuted at the Sundance Film Festival last month. It suggested that a South African group of white mercenaries had not only played a role in the crash, but had also later plotted to infect South Africa’s black majority with AIDS through a fake vaccination campaign. While the AIDS theory has been met with deep skepticism by a range of experts, its assertions about a South African mercenary connection to Mr. Hammarskjold’s death have not been dismissed so easily. A few weeks before the premiere of “Cold Case Hammarskjold,” Alexander Jones, a former member of the mercenary group and an important figure in the film, was interviewed for 90 minutes in Sweden by a representative of the jurist who is preparing the United Nations report, according to Andreas Rocksen, a producer of the film. Mr. Jones described a 1989 recruitment session for the group, the South African Institute for Maritime Research, in which photographs of the Hammarskjold crash site had been displayed and the group’s leader “referred to it as one of the most successful operations — taking down a dignitary,” Mr. Rocksen said. Asked for comment, the jurist, Mohamed Chande Othman, the former chief justice of Tanzania, said he had received “information from a multiplicity of sources,” including “the makers of a recent film on this subject matter,” according to an emailed statement from his spokesman. The judge also said he was still evaluating the information “in terms of whether it may be new information of relevance” and that he intended to submit his report to Mr. Guterres by June. The film’s researchers also claim to have corroborated a theory that a now-deceased Belgian mercenary pilot, Jan van Risseghem, flying a French-built Fouga Magister belonging to the forces of Moïse Tshombe, the Katangese rebel leader, attacked and destroyed Mr. Hammarskjold’s plane. The researchers interviewed a friend of Mr. Risseghem’s, Pierre Coppens, who said Mr. Risseghem had recounted the attack to him years later in Belgium. That account, however, has been called into question by a German historian, Torben Gülstorff, who has traced documents showing that several Dornier twin-engine planes were sold to the Katangese rebel authorities. Unlike the Fouga, the Dornier Do 28A had short takeoff and landing capabilities and could have used a short airstrip in the Congolese town of Kipushi to reach Ndola, while a Fouga, based much further away in the Congolese town of Kolwezi, would have been at the limits of its range. But that assertion, too, seems undermined by documents published in a Belgian newspaper, De Morgen, last month, showing that Mr. van Risseghem apparently drew an advance on his salary as a mercenary for the Katangese authorities on Sept. 16, 1961. New questions also have been raised about the precise cause of the Albertina’s destruction. An article last month in Counterpunch, a magazine based in Petrolia, Calif., suggested that the pilot had been trying for a controlled crash landing after an attacking plane hit it. Some of those colonial officials present in Ndola at the time, representing Britain, insist that there was no evidence of an aerial attack. “I mapped out where every body was found in relation to the crash site and attended every post mortem,” said John Gange, a former detective senior inspector in the colonial police who examined the site hours after it had been located. “No bullets or bullet holes were found on any of the bodies or on any part of the wreckage,” he added. In the absence of any definitive explanation, conflicting theories have proliferated, along with accusations that Western powers and the United Nations itself have obstructed successive inquiries. Last November, Judge Othman directly accused Britain and South Africa of having failed to cooperate in his repeated requests for information. Robert A. Maheu was such a colorful character that it’s widely believed the television show “Mission: Impossible” was based on him and his private investigative agency. As an ex-FBI agent, the CIA asked him to handle jobs it wanted to steer clear of, such as lining up prostitutes for a foreign president or hiring the mafia to kill Fidel Castro. For more than 15 years, Maheu and his Washington-based company were on monthly retainer to “The Agency,” CIA records show. And during much of that time, Maheu was the right-hand man to Howard Hughes as Hughes bought up vast swaths of Las Vegas and helped finance CIA operations. Now, a new book alleges that Maheu may have performed another mission for the CIA: the assassination of Sen. Robert F. Kennedy (D-N.Y.). Pease is not the first person to link the CIA to the June 1968 assassination of Kennedy, in the pantry of the Ambassador Hotel in Los Angeles. Sirhan’s lawyers in 2010 accused the CIA of hypnotizing Sirhan and making him “an involuntary participant.” The agency may have feared Kennedy because he opposed the CIA’s expansive use of power and would have pressed the agency for answers in the assassination of his brother, President John F. Kennedy, five years earlier, Pease theorizes. Pease’s book builds on the work of numerous prior authors who concluded that Sirhan did not kill Kennedy but was convicted by the misdeeds of the Los Angeles police and district attorney, and the ineptitude of his defense lawyers, who never challenged any of the physical evidence. Chief among that evidence is the autopsy finding that Kennedy was shot point blank in the back of the head, while Sirhan was in front of Kennedy. Witnesses at the scene of the shooting were adamant that Sirhan never got close enough to fire at close range — he was pinned down by a hotel maître d’ after two shots from in front of Kennedy, and emptied the rest of his eight-shot pistol wildly while he was held down. The courts in California have rejected such claims, and Sirhan has repeatedly been denied parole, most recently in 2016. He is serving a life sentence in a prison outside San Diego and has maintained since his arrest that he does not remember firing any shots at Kennedy. The Los Angeles District Attorney’s Office and police declined to comment for this story. A former Los Angeles assistant prosecutor has testified against Sirhan at parole hearings, but he, also, declined to be interviewed. Pease believes Sirhan had been hypnotized and was firing blanks, and she quotes witnesses who told police they saw shredded paper fluttering through the air as the shots were being fired, indicative of casings containing an explosive charge but no bullets. Pease cites witnesses, such as the wife of author George Plimpton, who said they saw gunmen behind Kennedy. One of those, an armed security guard named Thane Cesar, had previously worked for Maheu in Los Angeles, Pease found. The FBI has finally begun the release of the pre-1960 ELSUR (electronic surveillance index cards) and several thousand more that are dated post-1960. For more four decades the FBI had routinely sworn in hundreds of declarations filed in FOIA and other cases that the ELSUR indices began on January 1, 1960 and nothing before that existed. In 2008, George Lardner forced the FBI to admit that this was false, but in that case, Lardner v. FBI, C.A. No. 03-0874, and others, the FBI has been unable to find any responsive records despite allegedly having search for them. The information in this release is still heavily redacted for records that are now nearly 70 years old, some of which date back to 1944. ASSASSINATION ARCHIVES AND RESEARCH CENTER, INC.
All Writs Act, 28 U.S.C. § 1651.
jurisdiction over Defendant pursuant to 5 U.S.C. § 552(a)(4)(B) and 28 U.S.C. § 1331. 2. Venue is appropriate under 5 U.S.C. § 552(a)(4)(B) and 28 U.S.C. § 1391.
profit tax-exempt business incorporated in the state of Maryland. the subject of this action. case Lardner v. FBI, No. 03-874 (D.D.C.). indices (“the 1st Request”) via U.S. Postal Service Certified Mail. granted a public interest fee waiver. 18,000 pages of potentially responsive records. agree to reduce the scope of the request within thirty days or the request would be closed. ELSUR indices via U.S. Postal Service Certified Mail. 23. AARC has not received any response from FBI to this request as of this writing. is no legal basis for the denial by FBI of said right. about the processing of the 1st Request. related to the 2d Request. was assigned Appeal No. DOJ-AP-2018-000176. processing [its] request” and closed the appeal. (6) Grant such other relief as the Court may deem just and proper. Their letter calls for a Truth and Reconciliation Committee on the JFK, RFK, MLK and Malcolm X slayings. In a public statement, they demanded a public tribunal modeled on South Africa’s “Truth and Reconciliation” process to persuade either Congress or the Justice Department to revisit all four assassinations. Robert F. Kennedy Jr. and former Maryland lieutenant governor Kathleen Kennedy Townsend (D), two of Robert Kennedy’s children, signed the statement, as did Isaac N. Farris, a nephew of King and former president of the Southern Christian Leadership Conference, and the Rev. James M. Lawson Jr., a Memphis pastor and mentor to King. It is also supported by G. Robert Blakey, the chief counsel of the former House Select Committee on Assassinations; Pentagon Papers whistleblower Daniel Ellsberg; Robert McClelland, the doctor who worked on President Kennedy after his 1963 shooting in Dallas; and entertainment figures such as Alec Baldwin, Martin Sheen, Oliver Stone and Rob Reiner. The statement was issued Saturday, during the Rev. Martin Luther King Jr. holiday weekend. The 1960s assassinations have spawned conspiracy theories and claims of governmental misconduct for decades. In each case, local police, federal investigators and state and local judges have reaffirmed the findings that lone gunmen killed both Kennedys and King, and that the three men convicted of murder killed Malcolm X. But those official conclusions have left many unsatisfied. The son of the former senator revealed to The Washington Post last year that he had visited Sirhan in prison in December 2017 and came away convinced of Sirhan’s innocence. He has continued to research possible alternative theories into the June 1968 slaying of his father in Los Angeles. He and others have noted that his father was shot at point-blank range in the back of the head but that Sirhan was in front of Kennedy and was tackled before ever getting his gun close to Kennedy. Sirhan was convicted of first-degree murder at trial in 1969, and a jury sentenced him to death, although the sentence was later commuted to life. He remains in prison in California, and the state and federal courts have rejected all appeals, saying the jury could have been persuaded by the evidence that Sirhan was close enough to kill Robert Kennedy. Blakey, whose high-profile investigation of the King and John Kennedy assassinations in 1979 determined that Kennedy was the likely victim of a conspiracy, said he remains deeply interested in the role of the CIA in the JFK case. In fact, he has a federal Freedom of Information Act lawsuit pending against the agency. He said that the FBI had fully cooperated with his investigations, particularly into the King assassination in Memphis in April 1968 but that the CIA has refused to open all its files to this day. Blakey said numerous credible witnesses told the Warren Commission and his House committee that shots were fired both from in front of and behind President Kennedy on Nov. 22, 1963.